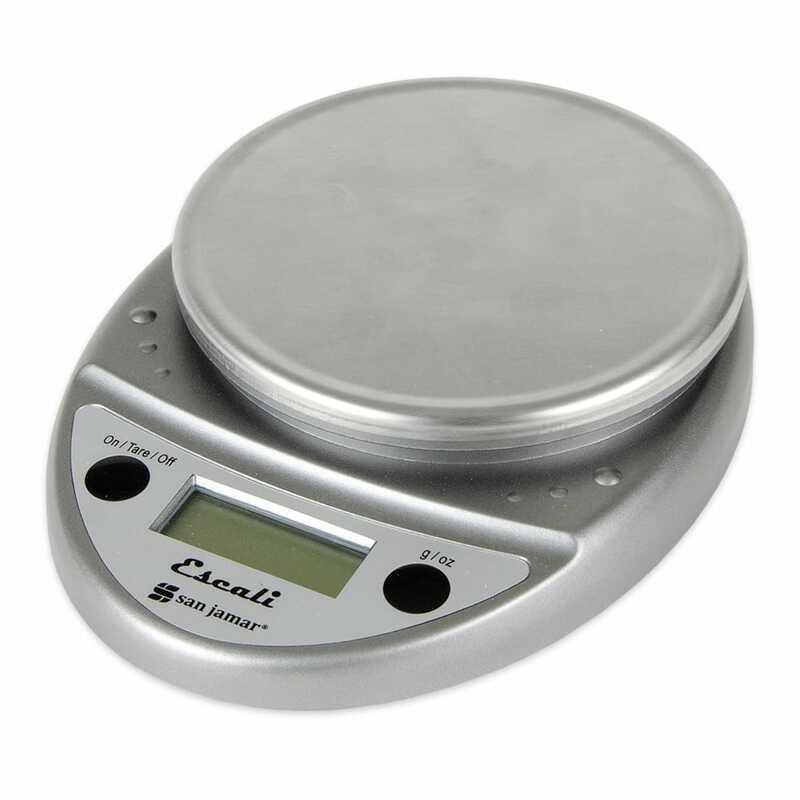 The San Jamar SCDGP11M Escali round digital scale's metallic color provides an attractive unit for use in front-of-house jobs like measuring bags of coffee. 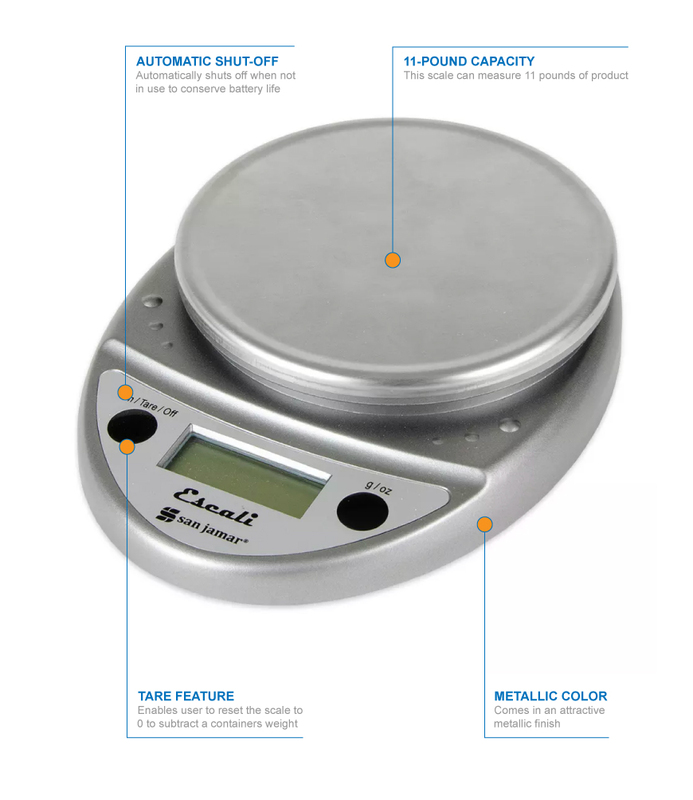 The scale offers simple, two-button operation that allows the user to change from measuring in grams, ounces, or pounds and ounces. The user can also tare the unit to compensate for the weight of a container. The scale will shut off automatically when it has not been used within a few minutes, which helps save battery life. 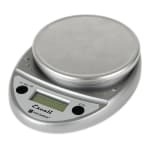 The San Jamar SCDGP11M Escali round digital scale can measure 11 pounds of product.